Jody Cottier was born 1979 in England and is currently is based in Athens, Greece. At the tender age of 9 years old he was given his first vinyl record by his auntie, it was the acid house song 'Lil Lou' (French Kiss) after that, he was hooked!! At 13 Jody bought his first set of turntables with his friends and just one year later in 1991 that he played his first club gig at Sterns nite club in Worthing. This was the year the club was voted the "best club in Europe 1991" by many puplications of the time. By the time he was 18 Jody locked down his first residency at a midweek students club night and then by 22 had a weekend residency at 3To Worthing, a small underground club which allowed him to experiment. In 2004 he started producing his own tracks and has collaborated with Artists such as Colin Dale, Rob Pearson and AgainstMe, whilst playing at many big shows around UK & the world. Some of Jody’s musical influences are attributed to his collection of records from late 80s till mid 90s era. Those parties and the thriving UK rave scene are what helped him shape his sound as we know it today. Jody’s sound is a cross genre mix of electronic music, watching the dance floor is his guide, it's the people that inform him how he needs to keep the vibe going. 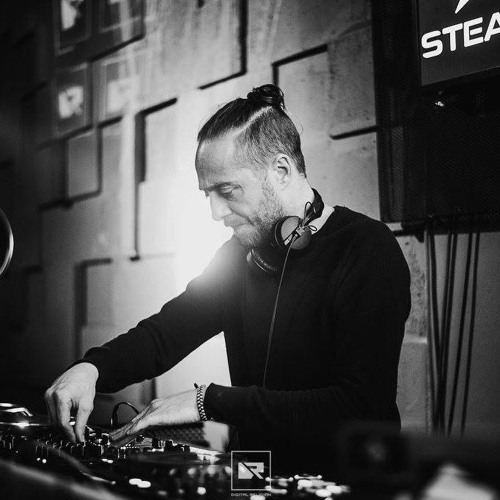 Nowadays Jody is concentrating on both solo projects and collaborations whilst playing for many events around Europe Jody has successful releases on Tentacles Recordings, Eyes Of The Owl Records, Three Hands Records and Piko Music. As well as setting up his own label and event, Digital Religion. Jody has been named as supporting act for artists like Mr C, Evil Eddie Richards, Colin Dale, LTJ Bukem, Slipmatt, Grooverider & Fabio + many more. Jody is regularly featured on local and national radioshows such as Flak on Lush FM, Codesouth FM, Brap FM and on Be Radion FM Athens. Some of the highlights from Jody’s career are playing at Sterns Worthing. Concorde 2 Brighton, The Barn Portsmouth, The Station Bournemouth, Sound Rebublic Majorca, Pascha Alacante, Kohilia Beach Bar Greece, Par A Sol Beach Bar - Eresos, Congas Beach Bar, Meeru Beach Bar Maldives, Steam Athens, ROOM Athens and plenty of warehouse & secret woods and beach parties to match. Jody continues to develop his sound and plays out regularly, he plays for people who want to dance the night away.